If you are not getting the administrator name in the list of approvers then it could be happening because you have chosen a setting in which Administrators will have separate employee accounts to manage leave. With this option the administrator only has the configuration options to himself and cannot get involved in the leave management process - e.g. requests and approvals. 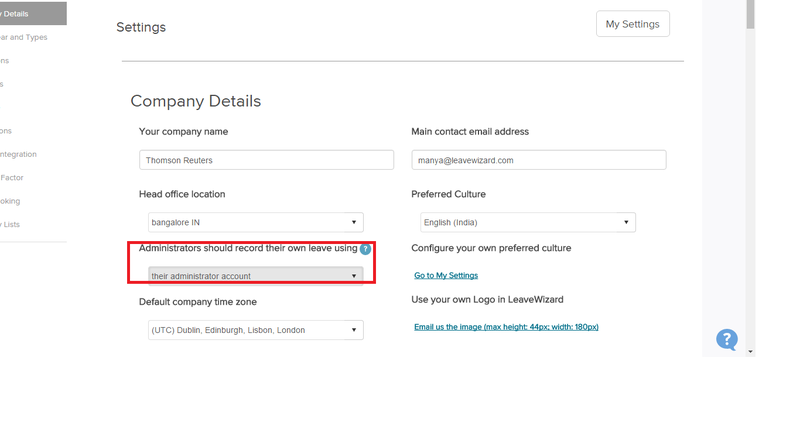 If you want to use your admin account to manage leave then you need to change this setting. For doing this you need to go to "Administration|Settings|Company Details". There drop down for "Administrators should record their own leave" should be set to "Their Administrator account" . Iam attaching the snapshot here for your reference.